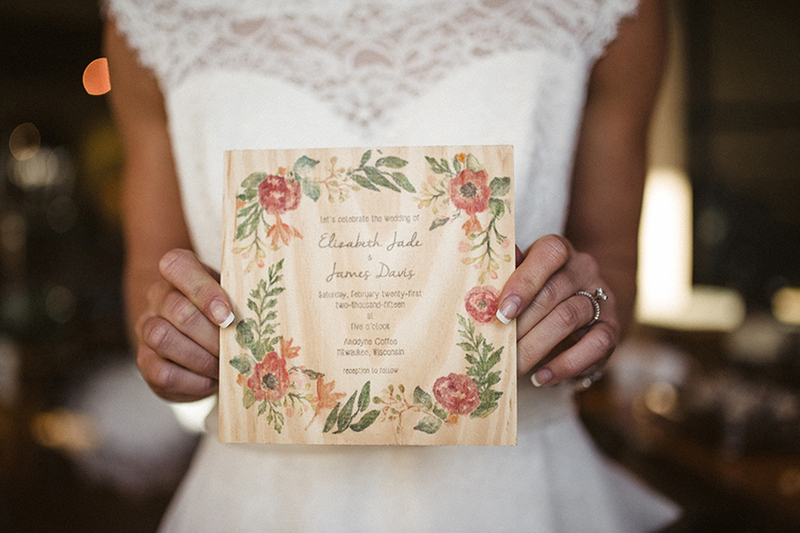 We started with the printed materials to bring the theme to life. 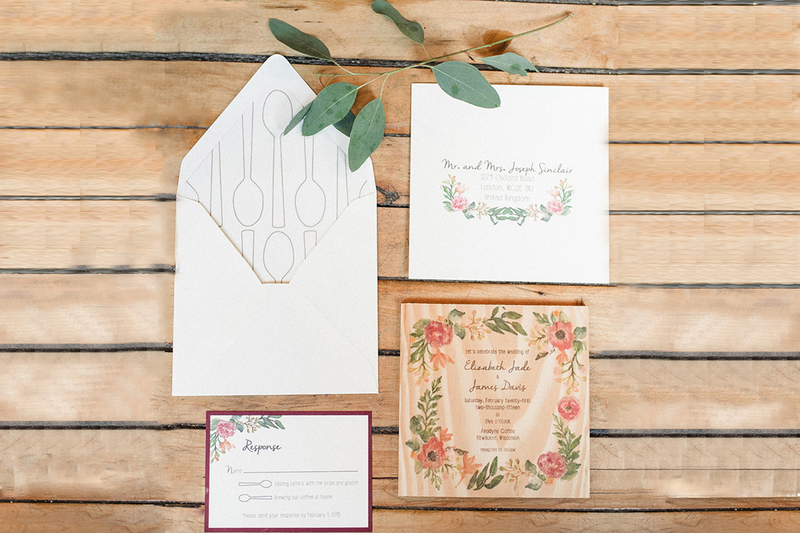 The unique hand painted, wooden invitation created by Chirp Paperie incorporated marsala flowers and coffee spoon details. 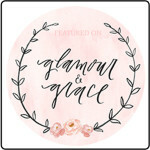 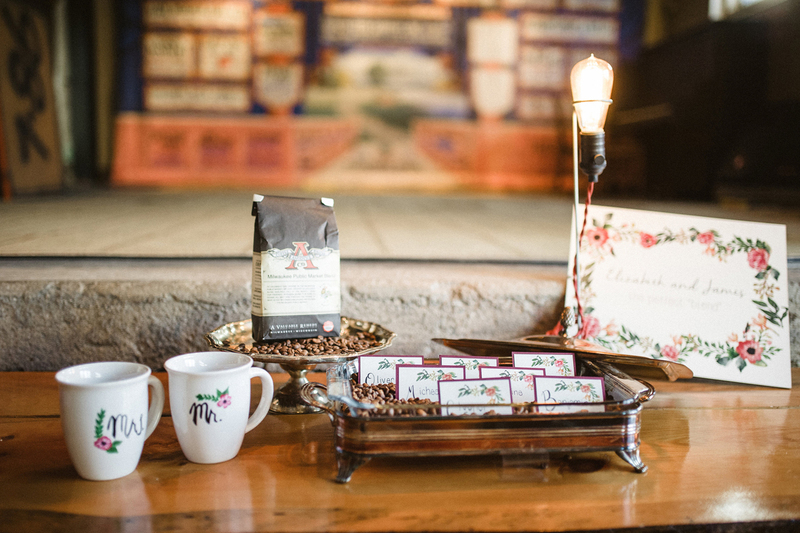 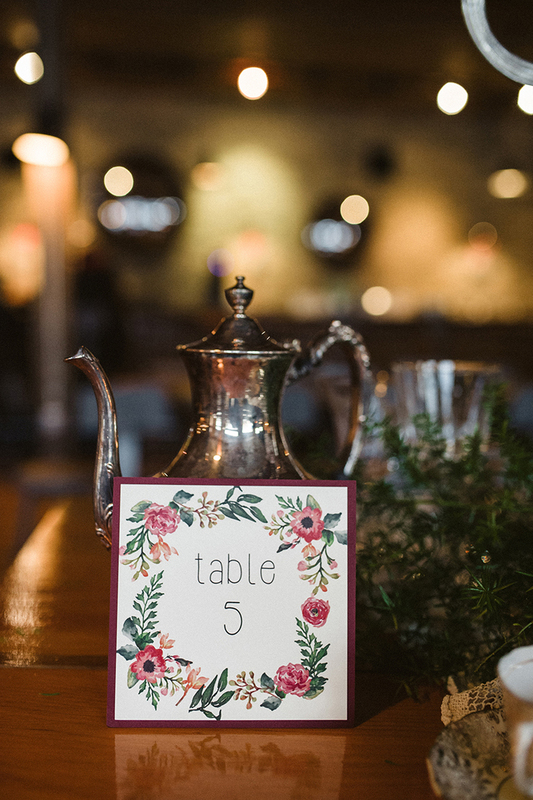 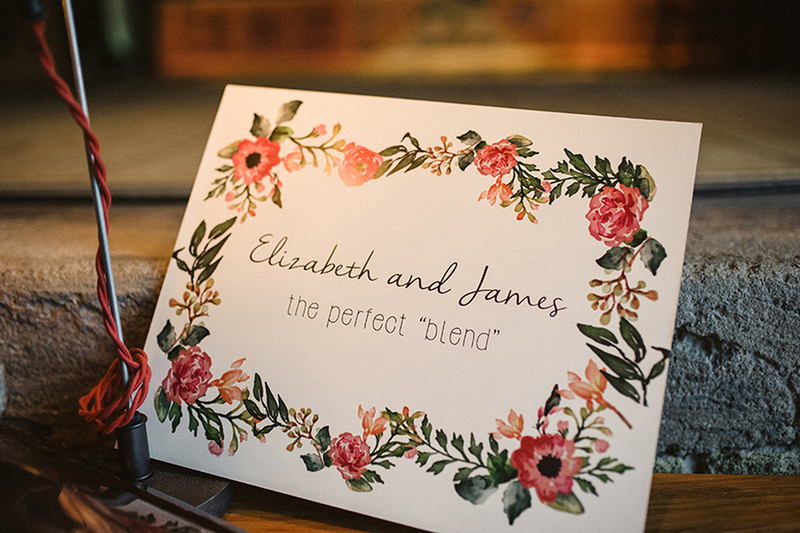 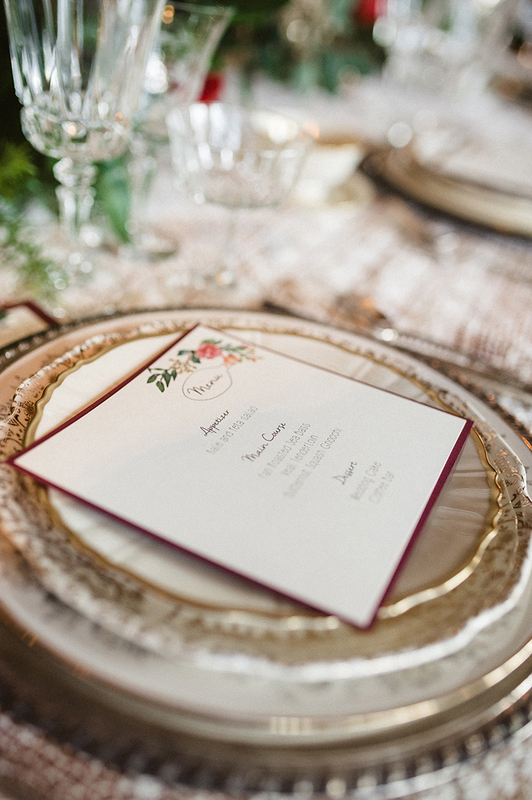 The hand painted marsala flower design was used throughout the rest of the printed pieces, while handed stamped coffee spoons by For Such a Time Designs served as the place card and guest favor. 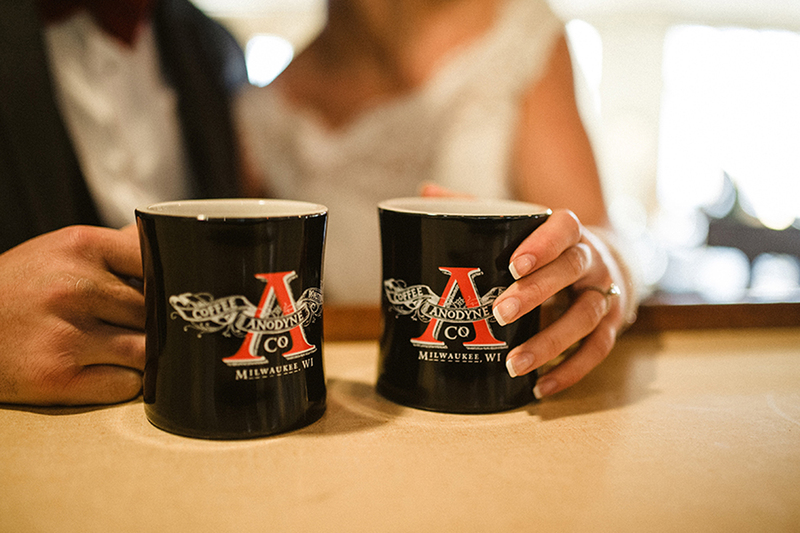 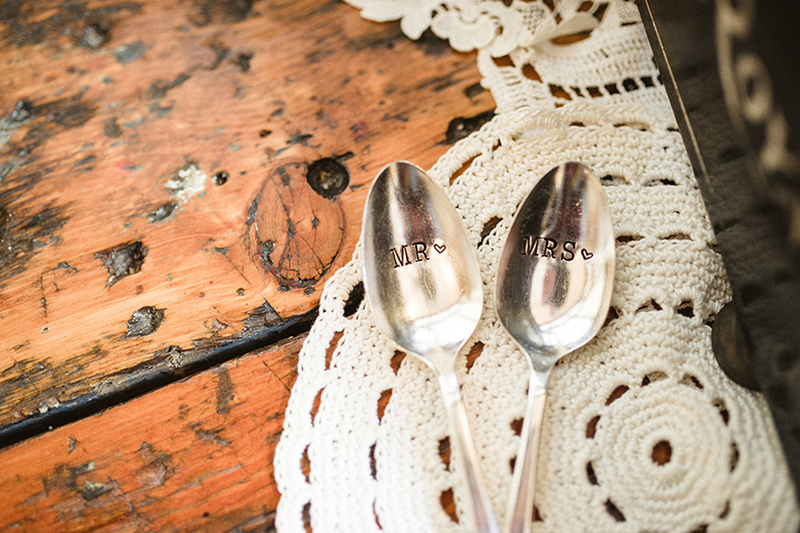 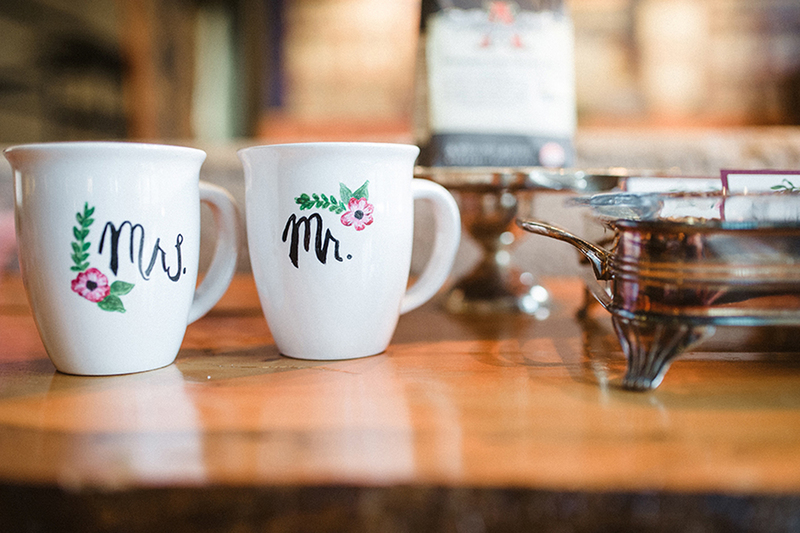 The “Mr” and “Mrs” hand stamped spoons and coffee mugs for the newlyweds made enjoying their coffee even more special. 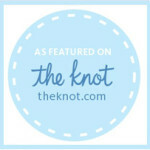 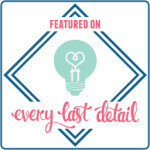 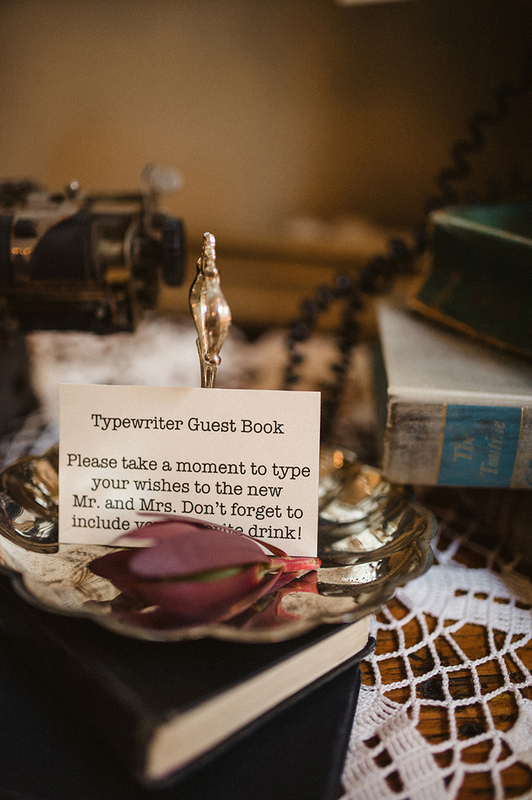 The 1930’s styling was featured with the typewriter guest book. 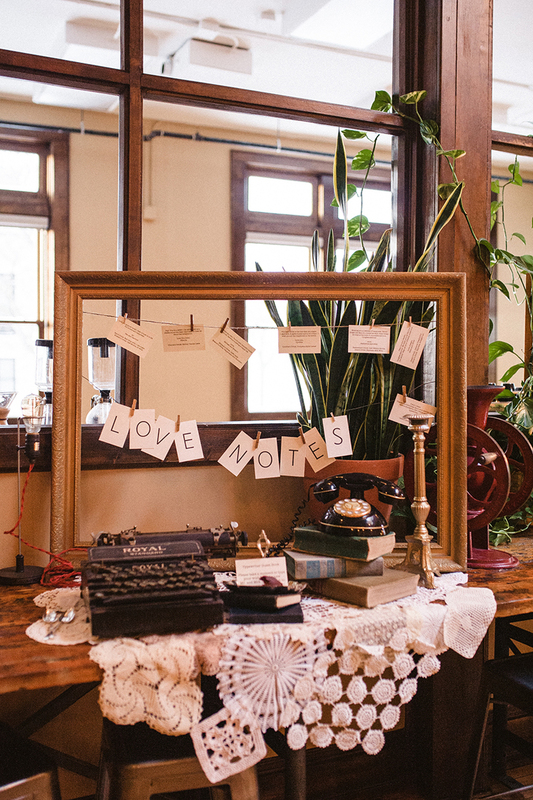 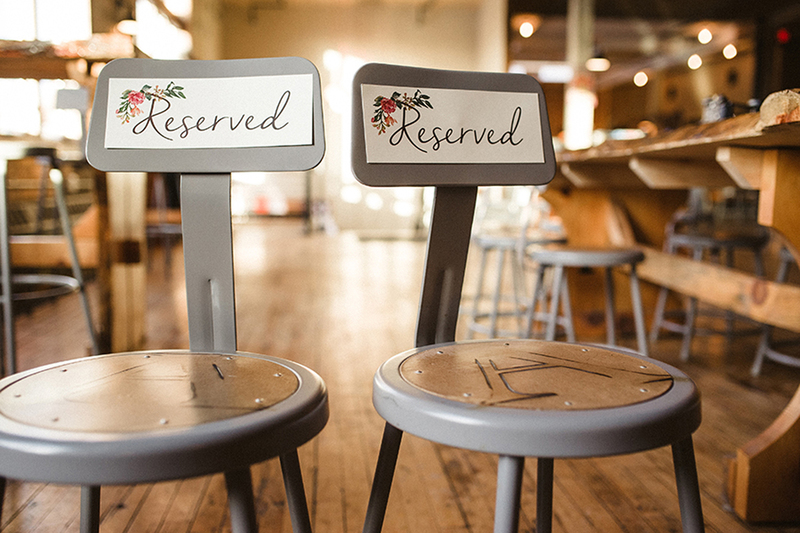 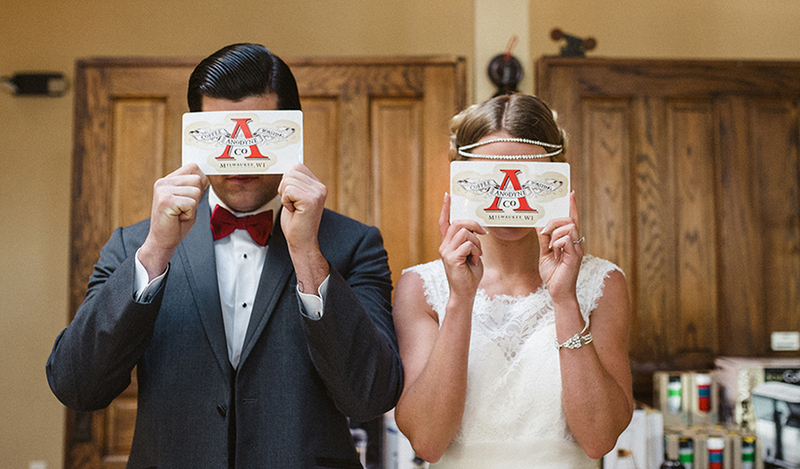 Guests are invited to type “love notes” on the working typewriter and displayed inside a gilded frame. 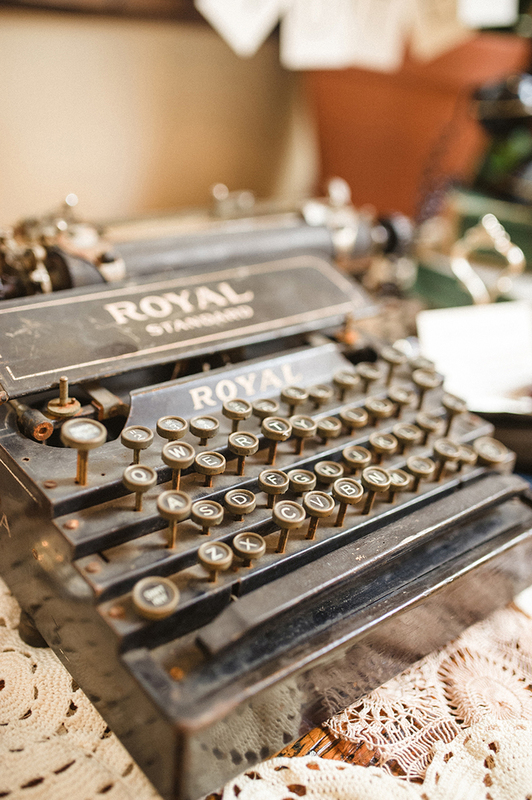 Along side the typewriter, was a vintage phone, lamp, books and marsala colored coffee grinder! 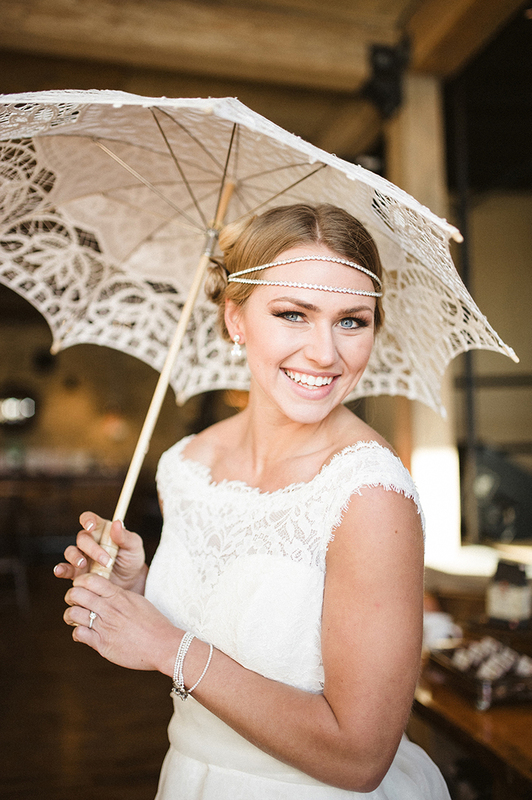 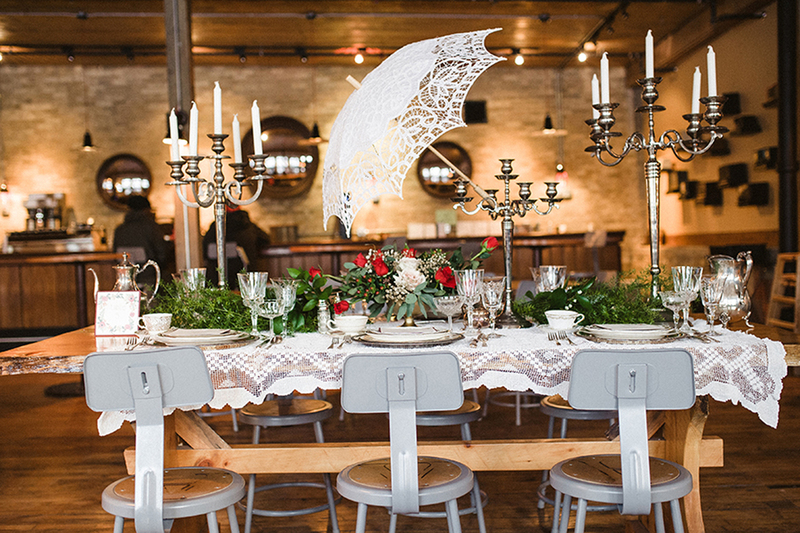 The entire set-up was set upon a beautiful lace linen. 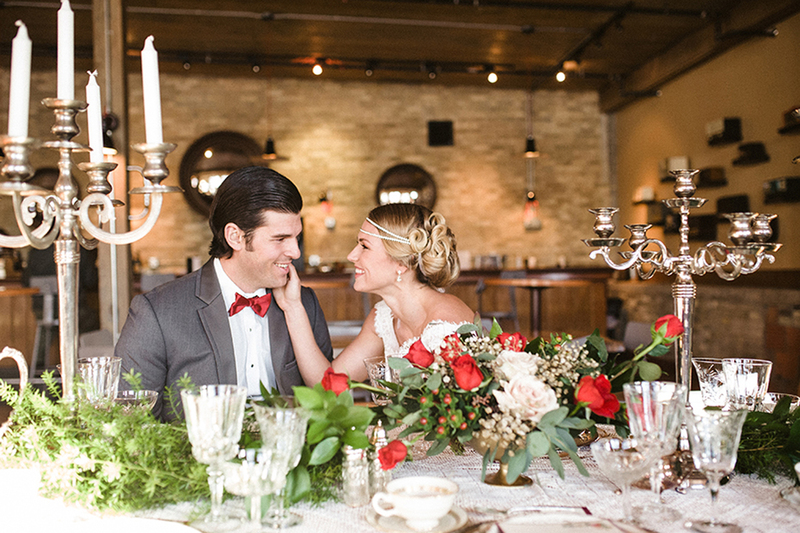 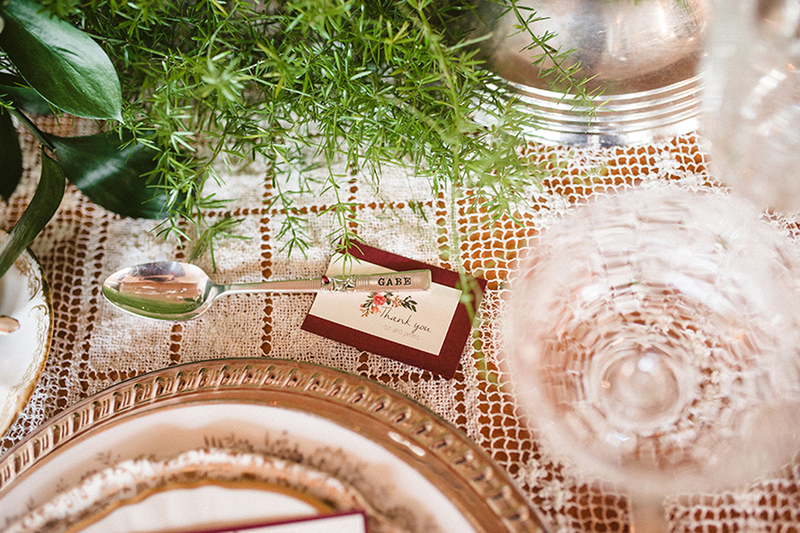 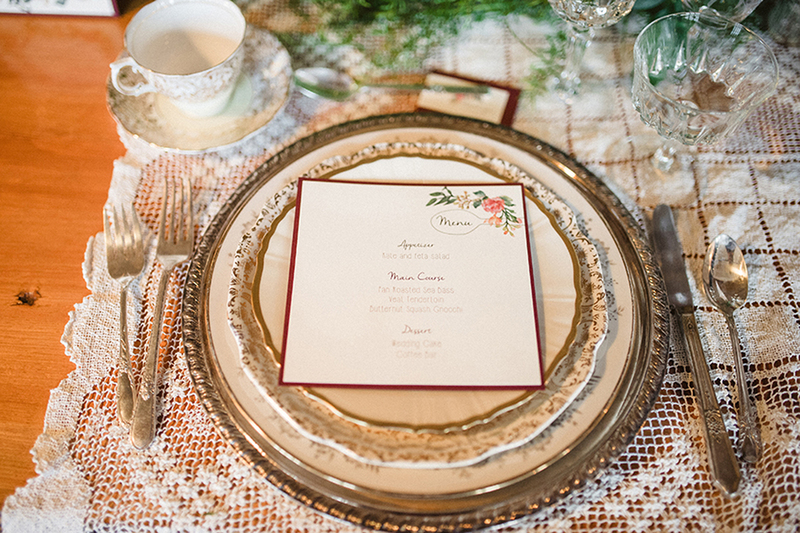 Our tablescape was styled like an antique European coffee house. 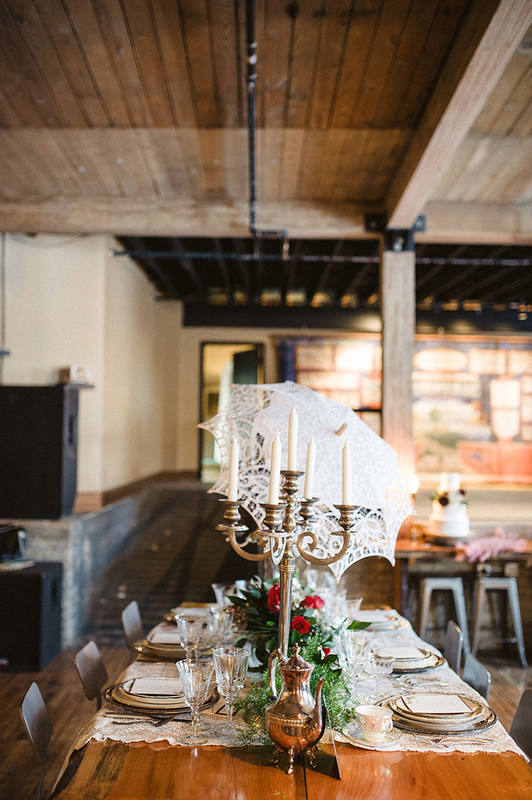 Relics Vintage Rentals provided gorgeous vintage china, crystal stemware, silver tea pots, lovely lace linen, classic candelabras and a fun parasol. 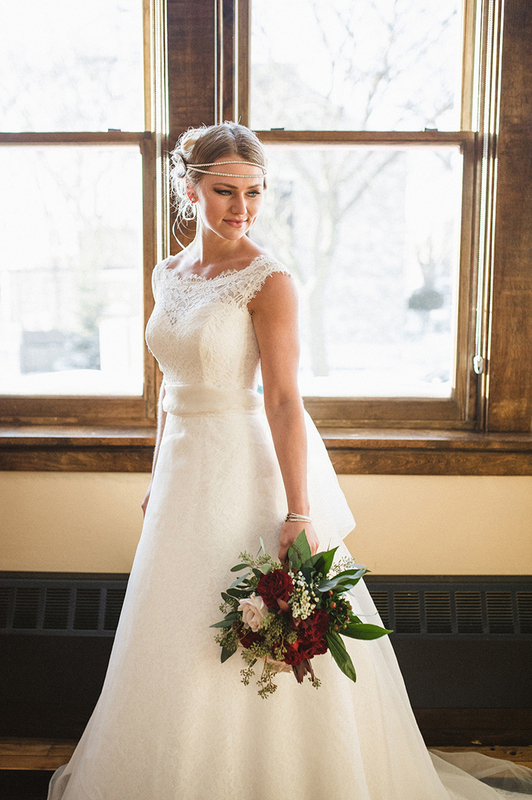 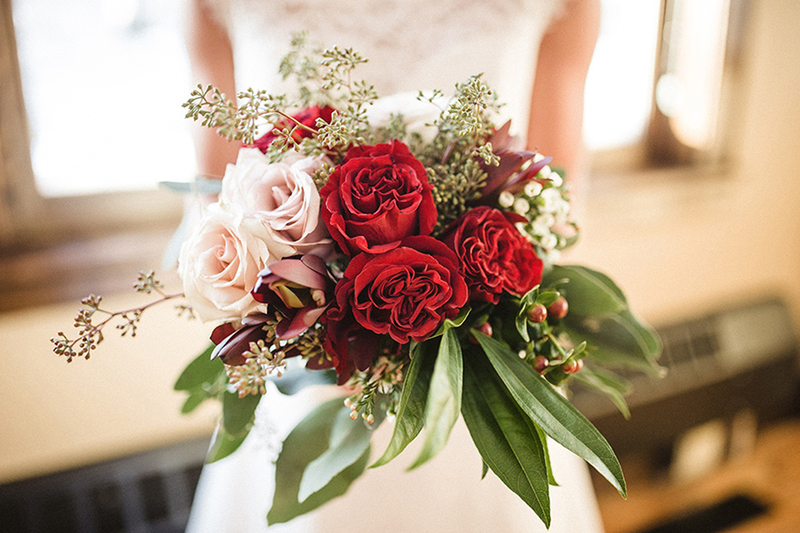 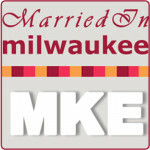 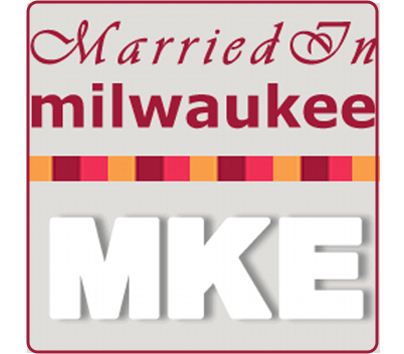 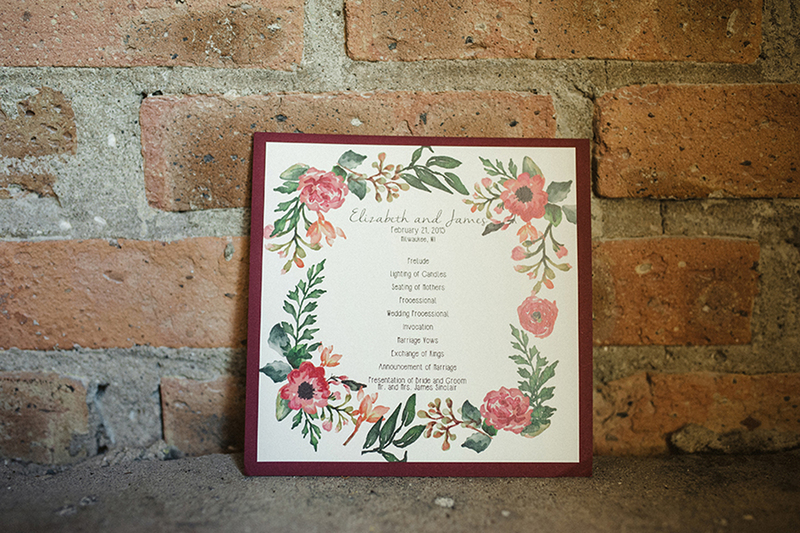 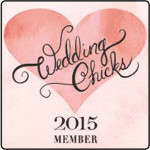 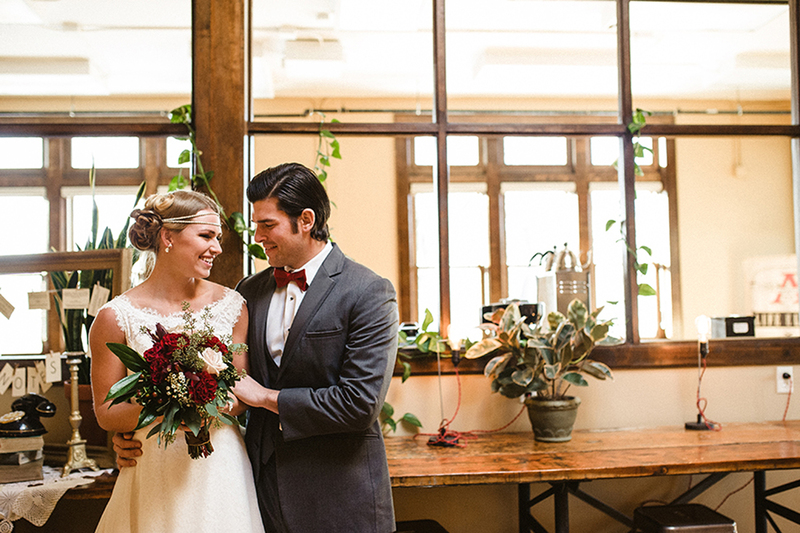 The charming floral by La Tulipe Designs highlighted the marsala color scheme. 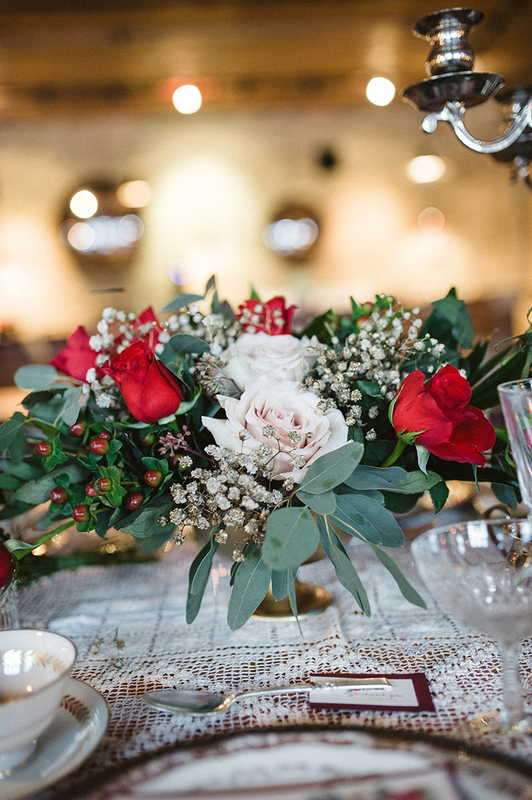 A garland filled with greens and herbs surrounding a centerpiece filled with ivory and marsala garden roses emphasized the vintage coffee shop feel we were aiming to achieve. 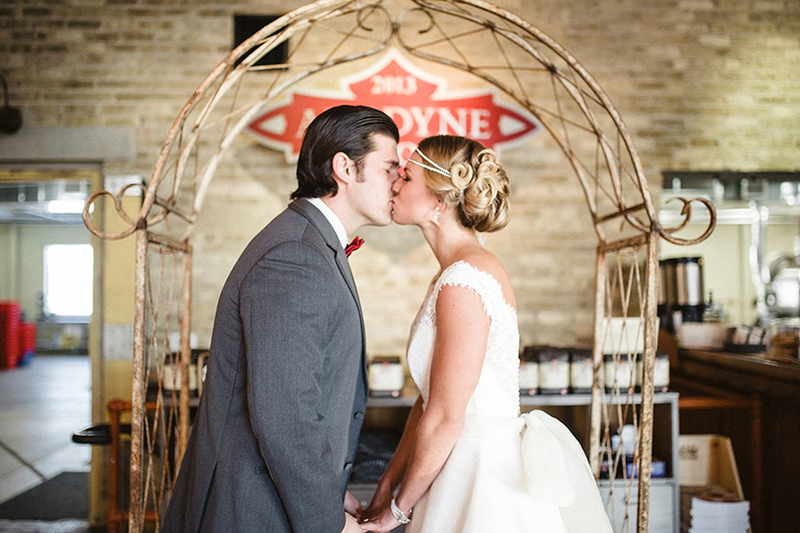 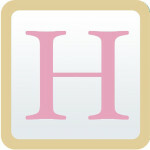 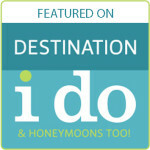 The scrumptious, four-tiered buttercream cake added the sweetness the every wedding desires. 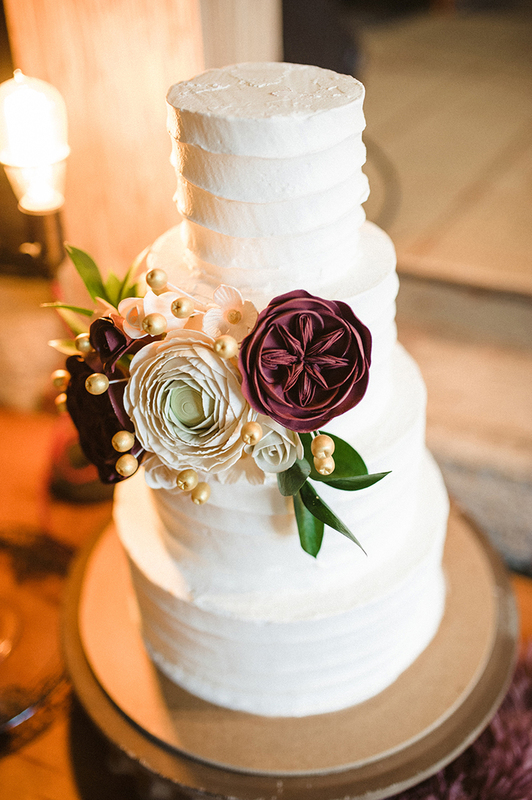 Decorated with sugar flowers, every bite would be delicious. 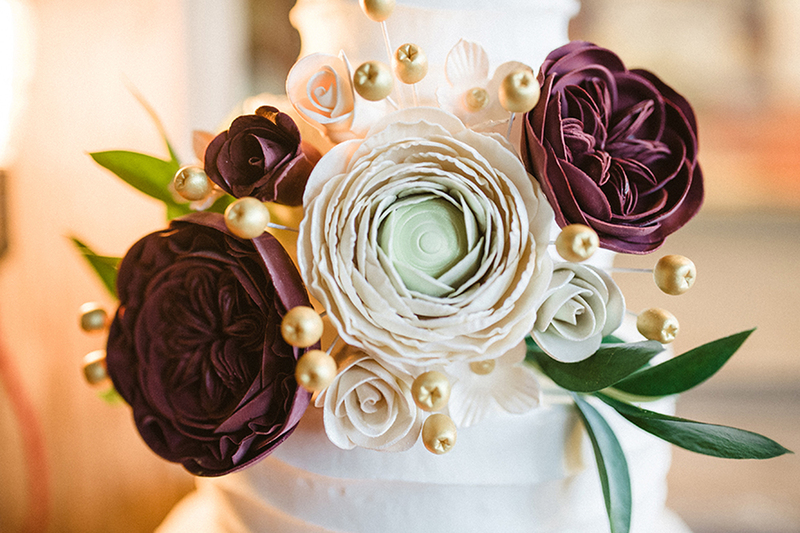 The Cake Lady’s incredible creation was the perfect addition to the shoot. 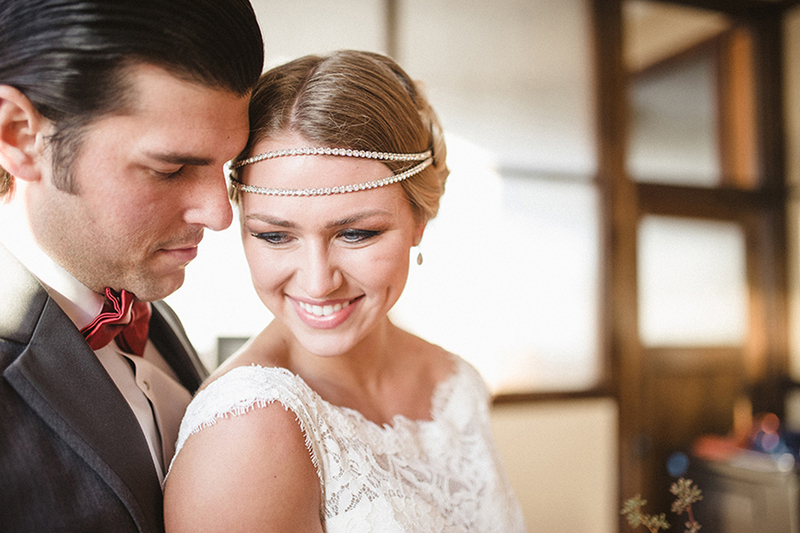 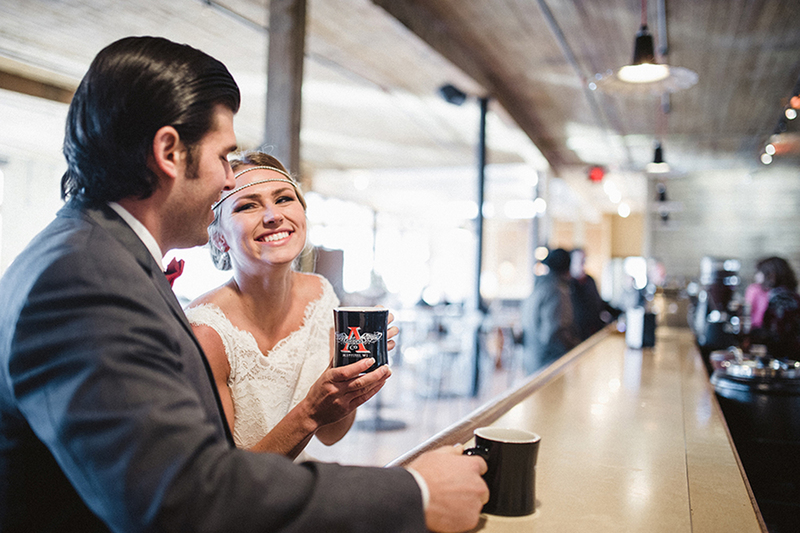 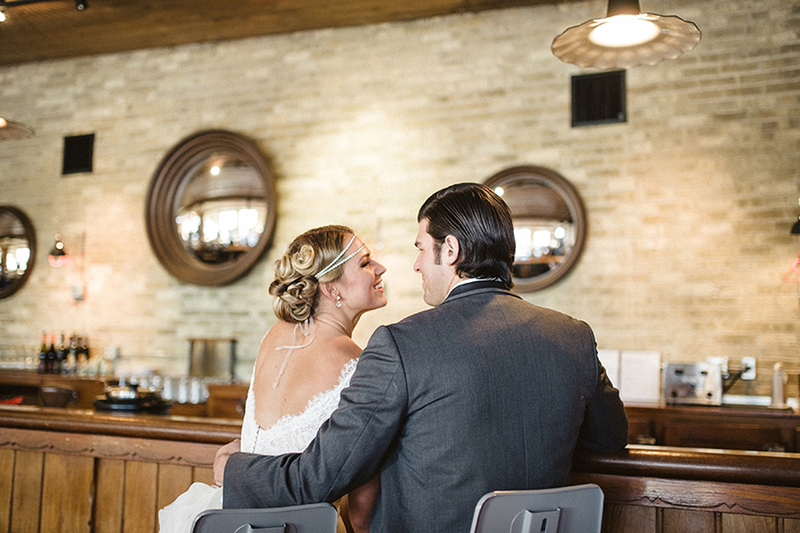 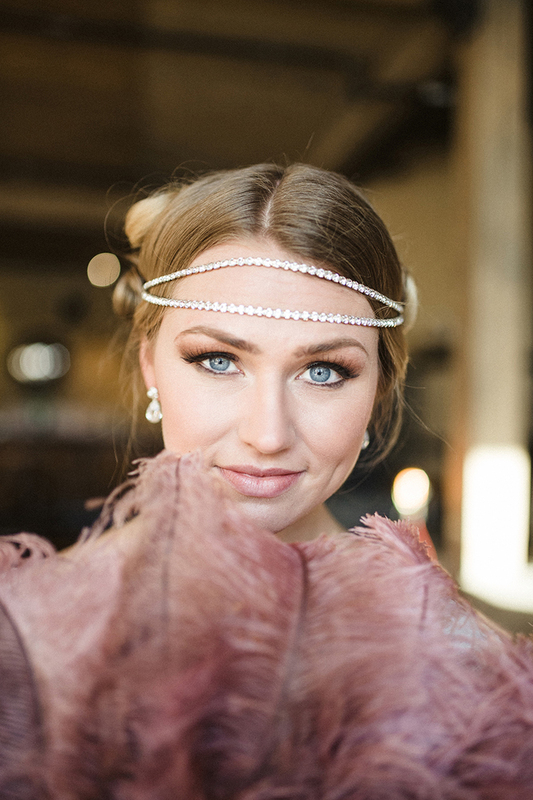 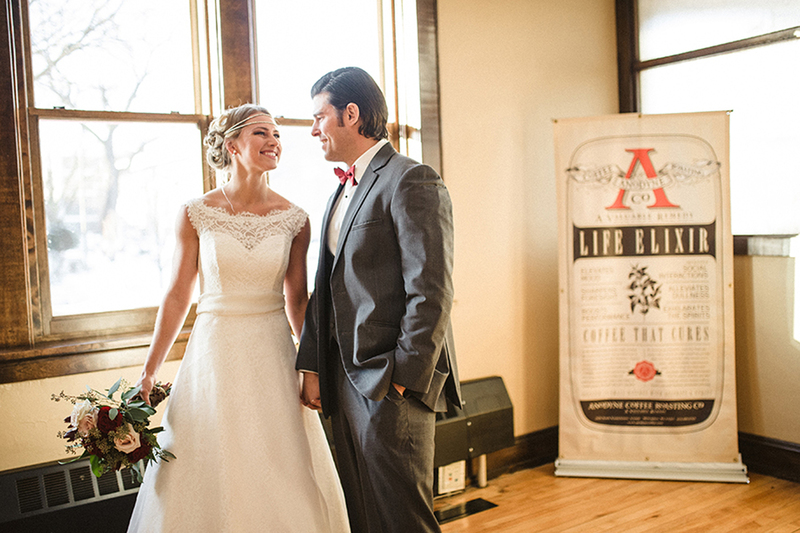 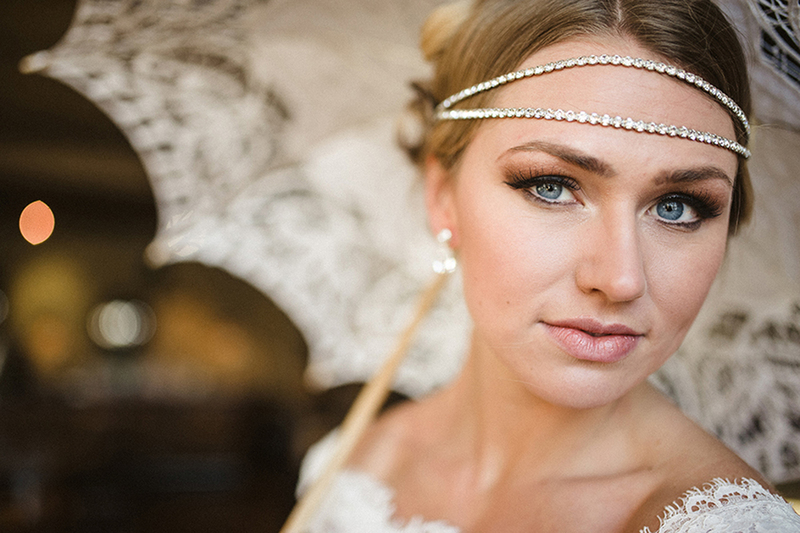 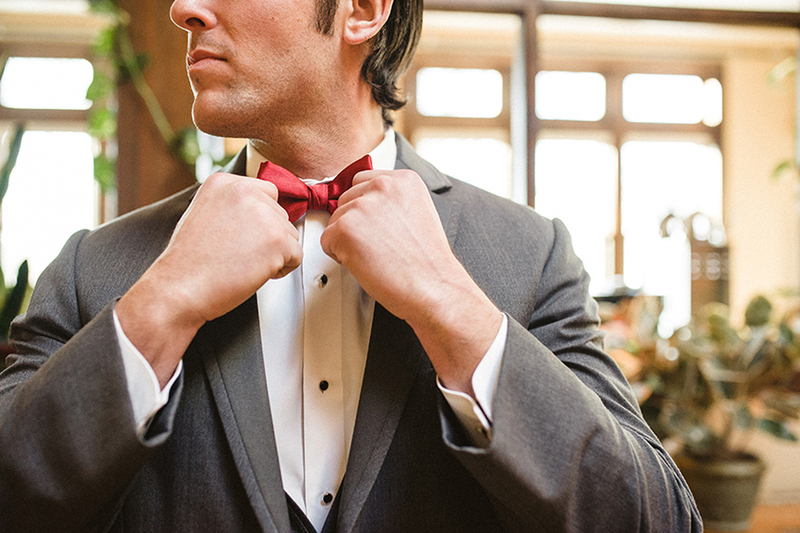 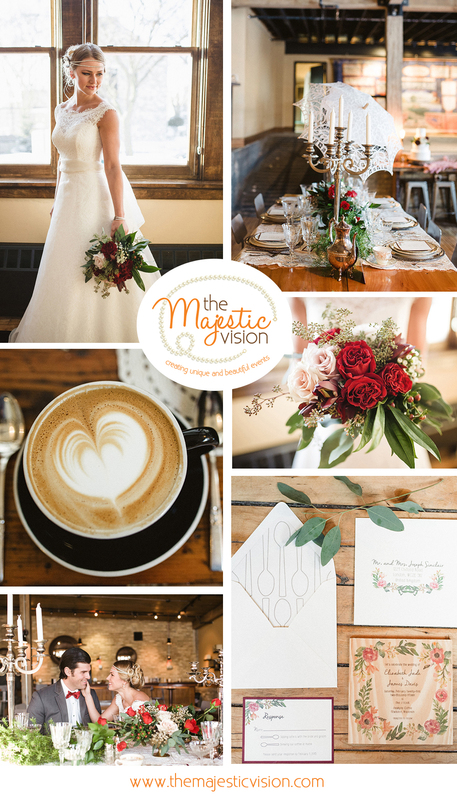 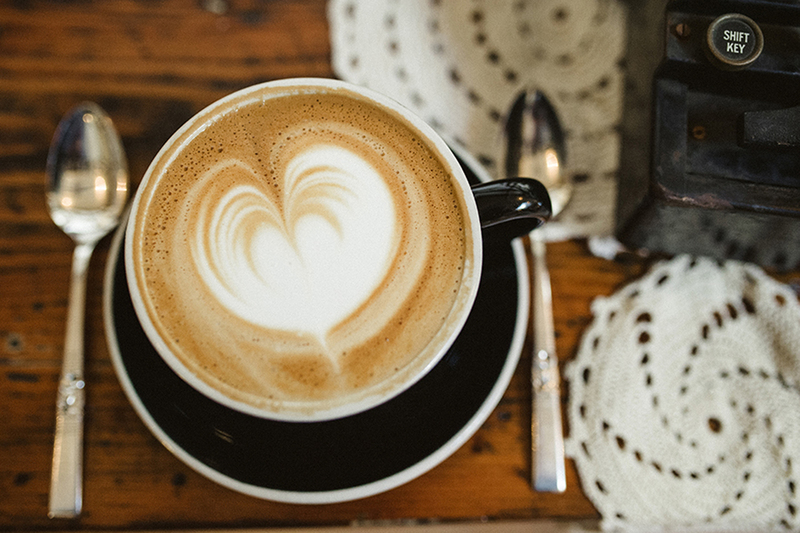 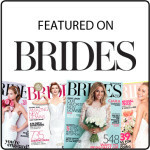 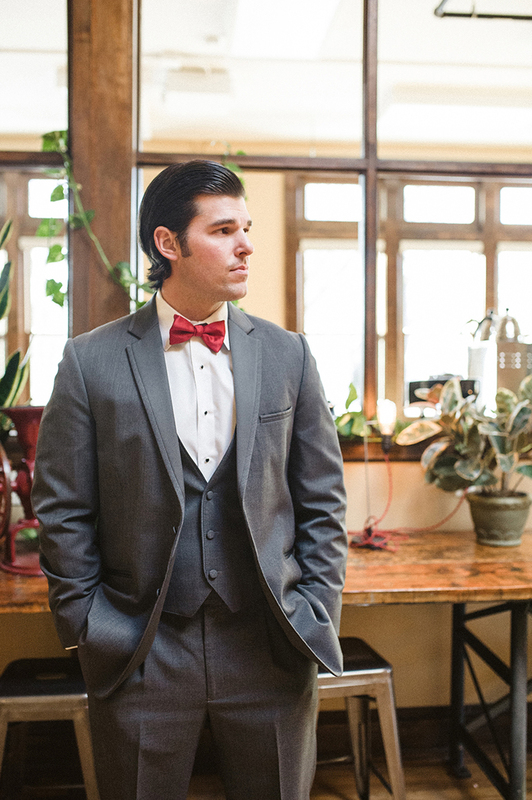 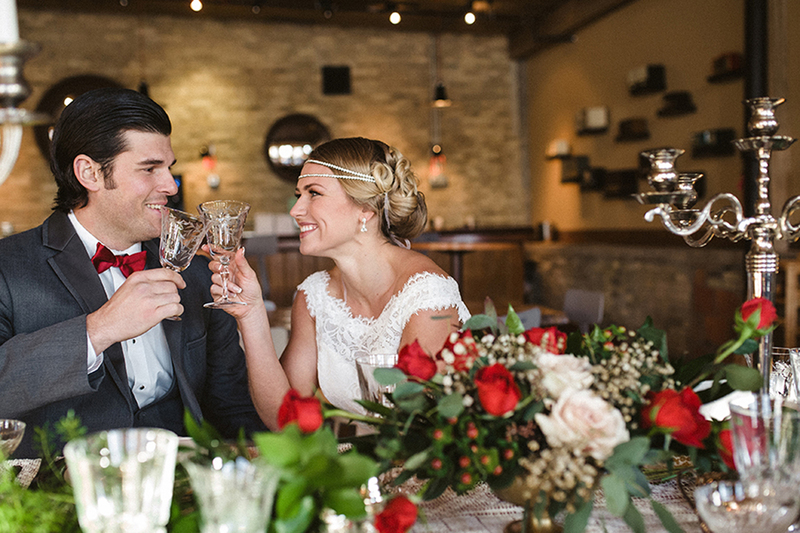 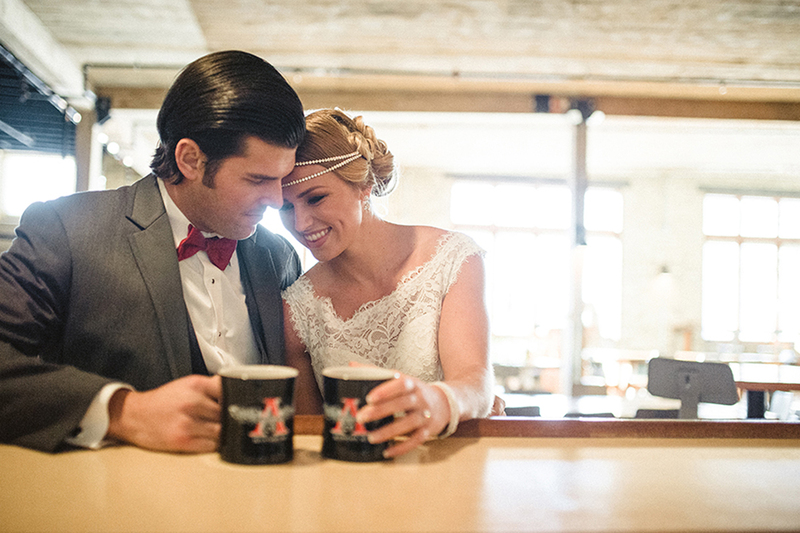 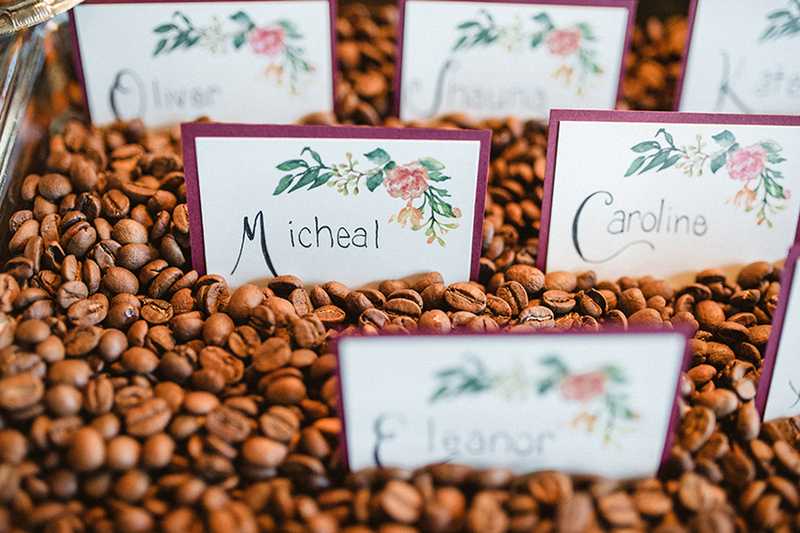 Every aspect of this posh and picturesque Anodyne Coffee wedding inspiration was captured perfectly by Elizabeth Haase Photography and Sikora Films.